The Ulster Regional Awards for the 2019 Irish Restaurant Awards took place in the Hillgrove Hotel, Monaghan, recently, where the country’s leading chefs, restaurants and pubs were recognised for their hard work and dedication. Over 450 restaurant owners and staff attended the second of four regional events where the top establishments in each county were named. 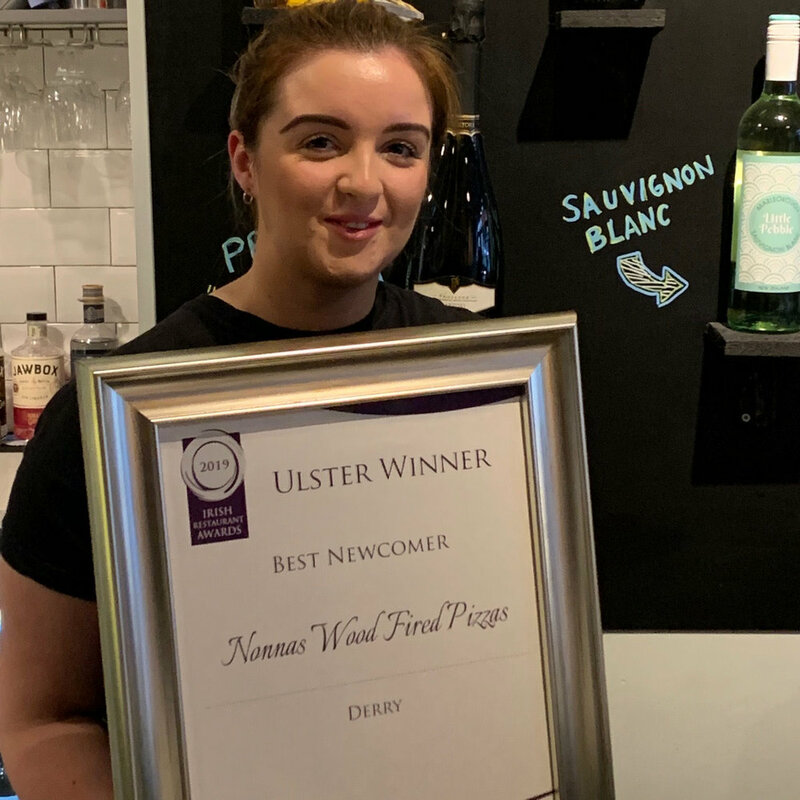 The awards covered each of Ulster’s nine counties and Nonnas newest restaurant on Shipquay St was delighted to be awarded the Best Newcomer in county Derry. It’s a testament to all the hard work and passion that each and every team member puts in and we’d like to thank them and our wonderful customers who nominated us and voted. We now progress to the All-Ireland event on the 13th May where we will compete for the Best newcomer in Ulster and the All-Ireland title.